Arguably the most versatile bean bag in the market today. The minimalist nature of the Cubo allows it to complement any home decor theme. 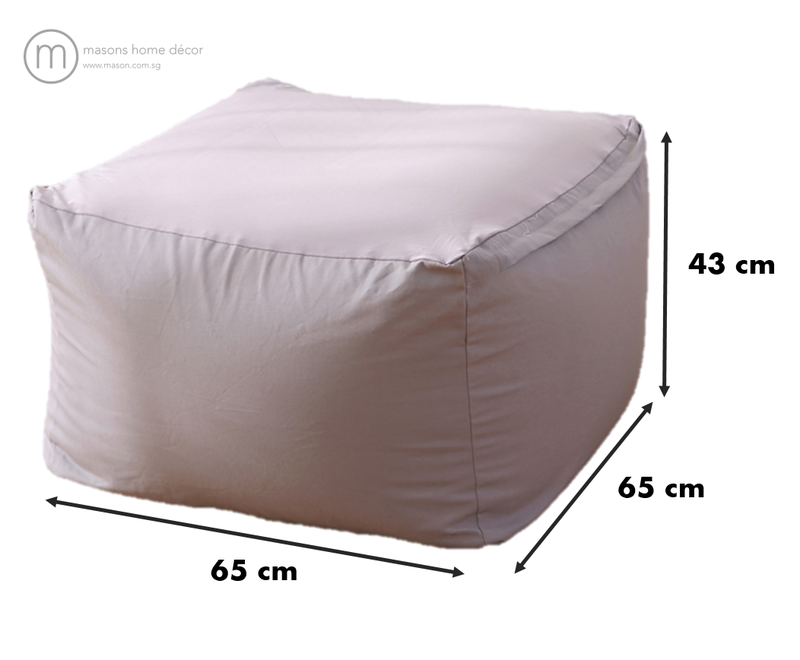 The compact and adaptable structure of this revolutionary bean bag also makes it perfect for homes with space constraint issues. Snuggle with style today! Remarks: Double layered. Comes with a fabric cover casing to contain the EPS foam beans and a bean bag cover. Sick of your boring couch and sofa? Looking for something else to snuggle onto every now and then? The CUBO was designed to solve the issues of space constraints within homes and still provide users with the ultimate solution for comfort. A warning though.. you might just get too lazy! Available in a huge range of colours, it has become a habit for customers to purchase multiple colours at one go. When not in use, the Cubo makes a perfect home decor item. The picture looks a bit flimsy but it is really comfy to sink yourself in. Able to snuggle within too. Happy with my purchase!